The Right Reverend Carmel Zammit is the Bishop of Gibraltar. 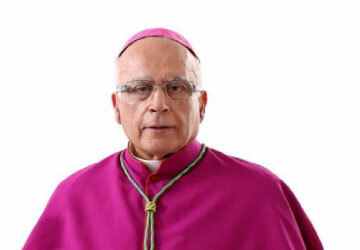 Bishop Zammit was born in Gudja, south Malta, in 1949 and was ordained to the priesthood in 1974. In 1976, along with other young Maltese priests he was invited, by Bishop Rapallo, to minister in Gibraltar. He served the Diocese in a number of different capacities from 1976 to 1998. He taught and served as Chaplain to both Boys and Girls Comprehensive Schools. He served as Parish Priest in two of the parishes in Gibraltar, St Theresa’s from 1985 to 1991 and Sacred Heart Parish from 1991 to 1998. He was also Chaplain to a number of different organisations in the Diocese; as Bishop’s delegate on the Religious Education Board for Government Schools, and as a member of the Prison Board and Prison Chaplain. In 1998, he returned to his native Malta, where he was appointed Chancellor of the Archdiocese of Malta and served the Archdiocese in a number of key roles until his appointment as Bishop of Gibraltar on 24 June 2016. 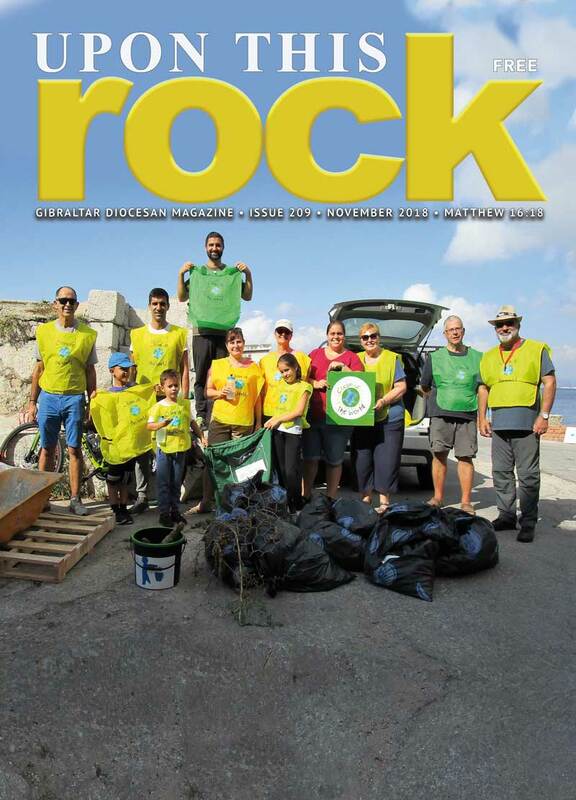 After his return to Malta, Bishop Zammit continued to be a frequent visitor to the Rock and kept close contact with the Priests and people of Gibraltar. He was ordained Bishop of Gibraltar on 8 September 2016. 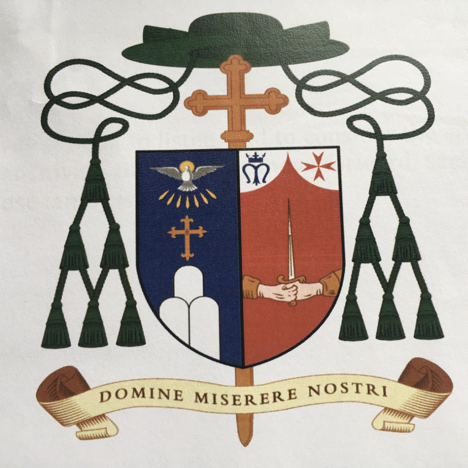 The motto chosen by Bishop Carmel Zammit for his Coat of Arms, Domine miserere nostri, – Lord have mercy on us– is a verse from the religious hymn “Te Deum Laudamus” which is recited in solemn feasts in the Office of Readings and on other special occasions. This verse was chosen since he was ordained Bishop during the Year of Mercy, and it is a verse that is often in mind when he sees his human frailty. The Coat of Arms is a combination of the Gibraltar’s Coat of Arms on the left, featuring the Holy Spirit, a cross and three rocks, and on the right the Maltese side featuring the symbol for Our Lady, a Maltese Cross and the symbol of two hands holding onto a sword, which is the Coat of Arms of the surname Zammit.